Best ways to Open Blocked websites in office, school & Universities: – You are completely free and you have nothing else to do and that’s when you thought about spending some time with your facebook friends. You get up, opens your laptop, connects to your college WiFi, types in the facebook URL and hits Enter. And at that wonderful moment, you get an Access Denied message from your college network. Don’t tell me how frustrating that is, I have experienced it myself. But what the college authority do not know is the fact that the Internet isn’t something that can be locked up. The more they try to lock it up, the more the motivated we get, to crack it open. There are a lot of ways through which you can bypass a network’s security. In this article, I have tried to cover many of the ways through which you can access blocked websites like youtube, facebook, quora etc from your college/ workplace networks. Read on, to learn how to hack this simple trick. A proxy server is an intermediary server which acts on your behalf to get the information you requests. It hides your identity and thus is widely used to access blocked websites. There are a number of proxy servers available for free-use on the Internet. In the below screenshot, I have used the proxy server, ProxySite.com, to access facebook.com which is a blocked website in most of the college/workplace networks. Here is a Complete list of all Proxy sites in the world. Google Translate is an efficient way using which you can access blocked websites in a network. Convert the URL of the blocked site to any regional language and this converted link can be used to access the blocked website. Internet archive is the biggest website on earth storing past versions of any website. Since its not a proxy site, the chances of it being banned are null. So, you can use it easily for browsing any banned site at your school, college or workplace. Juts search the website and then pick any latest date from the calendar obtained on next page to browse the blocked site. You can access blocked websites with the help of Command Prompt. For that, first, right click on the Command Prompt icon and run it in the administrator mode. Then type in ping “blocked site’s URL” into your command prompt. 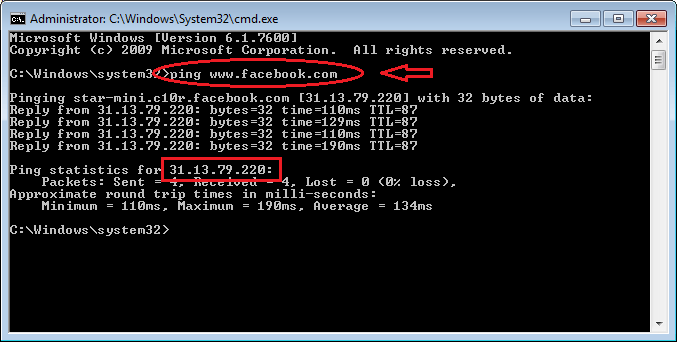 Use the IP address that Command Prompt returns, to access the blocked sites. You can convert an IP address of the blocked websites to it’s decimal equivalent to access the blocked website. First find the ip address of the website. Then Just click here to convert your IP address. Just search the website in Google and then click on triangular icon at the end of green url from search result and click on cached. Unfortunately you can only view front page or any page you searched of the site with this trick. 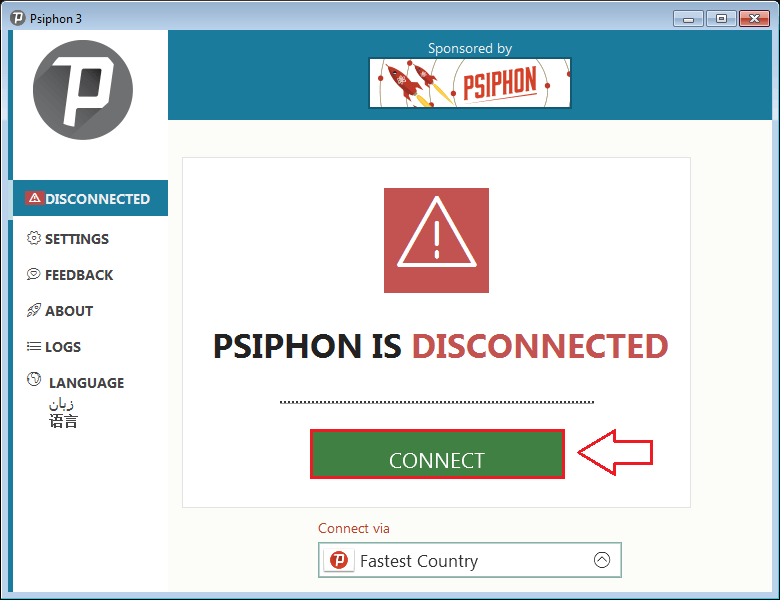 Psiphon is a tool which is based on various technologies like VPN, SSH and HTTP proxy to provide the functionality of bypassing networks. This is the most effective of all the ways described so far. You can download Psiphon from here. Once downloaded, simply install Psiphon and click on Connect button. Now enjoy the Internet without any barriers. Sneaking in is always fun. Try out these tricks today itself to explore the deep possibilities of world wide web. Hope you had fun reading the article.